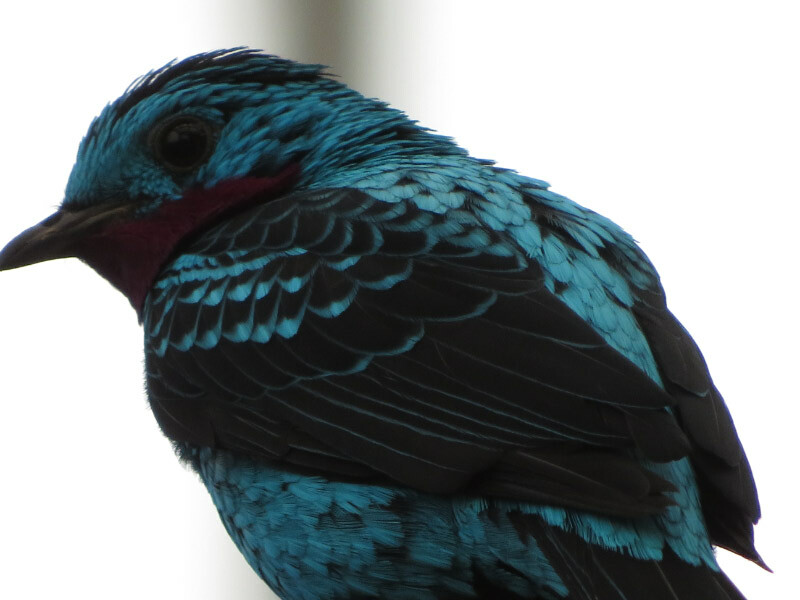 Last Friday afternoon was very cold in Pittsburgh – and a lot of people decided it was a good day for the National Aviary. Our first clue that it was going to be crowded was the full parking lot. We pulled into a parallel space across the park from the aviary and walked across the frozen, snow dusted paths to the gate in the fence around the Aviary. The priority was food instead of seeing birds since we hadn’t had time earlier for lunch. The café area was crowded but we managed to satisfy ourselves enough to last until dinner…and then headed to the Wetlands area. We walked in a few minutes before feeding time. The schedule feeding times are great for picture taking. They have several spoonbills and I got a picture of the underside of bill like I did for the white ibis on South Padre Island; the spoonbill underside is the same concave shape. I also realized that spoonbills are don not have totally bald heads like vultures, but they certainly have a receding feather-line. 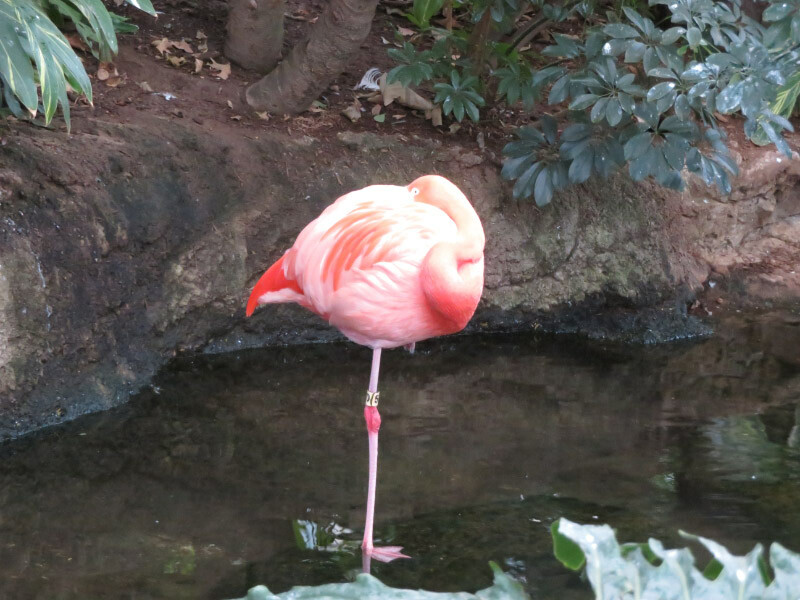 The flamingos seemed to be doing their preening while standing on one leg. As the staff (and volunteers) started feeding the birds, the birds moved about more, and I was able to get different angles of the same bird. Some of the colors change dramatically. There are sometimes surprising patches of color that become visible only from the side or back. The hadada ibis has wings with a sheen. Some birds are small and fast…hard to photograph except when worms are offered on the railing and they fly down to gobble them up. Some appear drab but have ‘personality’ when viewed via the camera’s zoom. One of the pelicans flew up to the top of a tree in the enclosure….closer to the glass roof….alas no sun while we were there. Of course, there was water below the bridge walkway we were standing on…if there were fewer people around I would taken more time to photograph the variety of ducks present in the exhibit. As I turned to leave - I noted the brilliant yellow tail feathers of a bird on one of the pipes high overhead, near the ceiling…a last hurrah for the wetlands exhibit.